As Valentine’s Day draws near, what’s better than gifts that give back?! 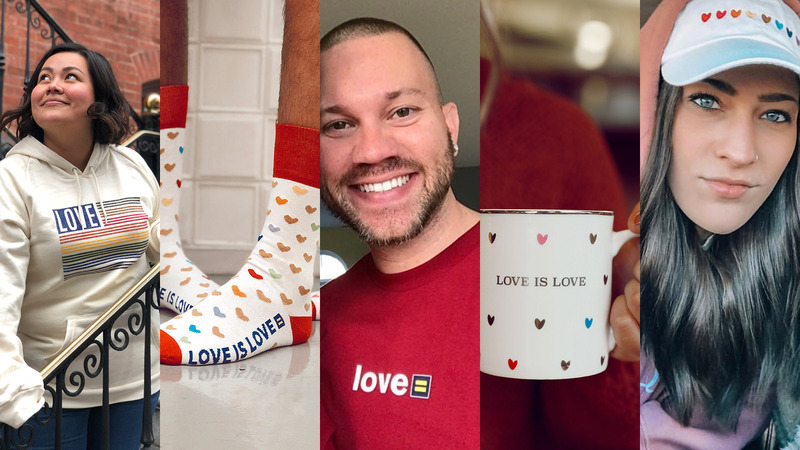 HRC’s online store offers a fabulous selection for all your loved ones (or yourself!) this February. Be sure to place your order by midnight on February 6 to take advantage of the most affordable shipping and ensure that your selections arrive on time. Not to fear! HRC is accepting orders until February 12. Place your order by 3:00 p.m. EST on February 12 and ship via one-day service. From head to toe (literally), love is love! 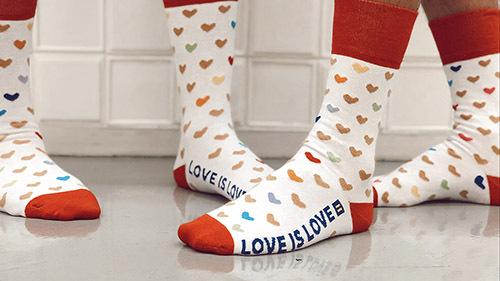 Give your special someone a pair of these limited edition socks to show and share the love. 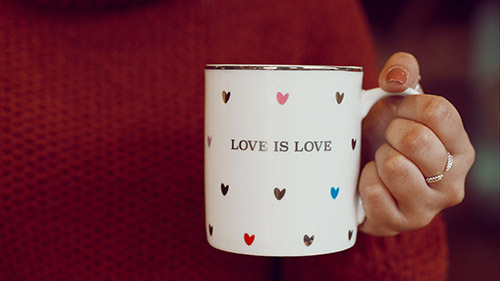 Cozy up over a cup of hot cocoa in this adorable mug! This piece -- a collaboration with Williams Sonoma, Pottery Barn and West Elm -- is sure to please even the pickiest Valentine! Equality and love for all! 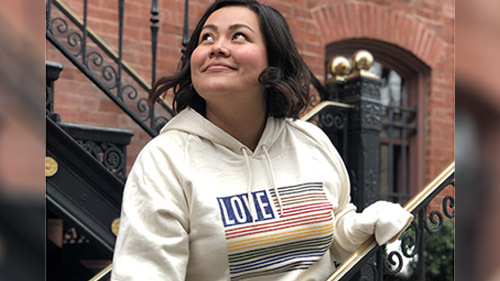 This “Love” Rainbow Flag Hoodie features the Philadelphia Pride flag, and symbolizes HRC’s fight for intersectional LGBTQ equality. P.S. It’s super plushy and quite comfortable! 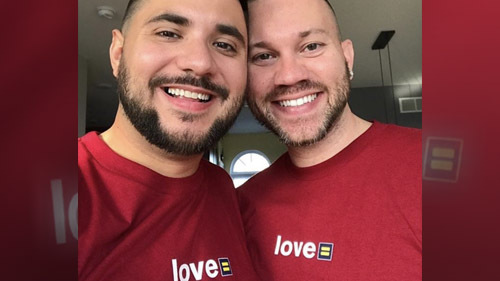 Clear and simple, our “Love” t-shirt shows that you support LGBTQ equality and the mission and work of HRC, and you want to share that message with the world. What better present can you give than the gift of PRIDE! 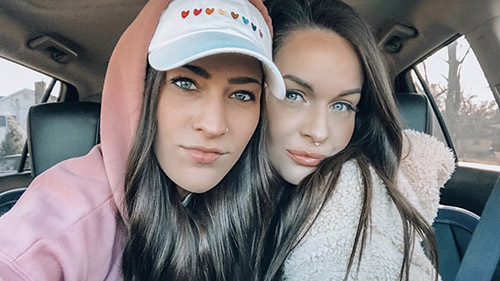 This classic style ball cap looks amazing in every situation, from running errands to taking adorable photos for Instagram. Don’t wait! Head to shop.hrc.org now to ensure you have the perfect gift for that special someone this Valentine’s Day. **Please note: USPS shipping is not guaranteed to arrive by 2/14. Applies to in-stock items and domestic shipments only.